HP260 commercial high-performance tape was designed to meet the demands of heavy-duty box shipping and long-term storage applications. Ideal for all types of mailing, shipping and storage applications as well as label protection. 3.1 mil thick tape meets all U.S. Postal regulations. Temperature endurance ranges from 14 degrees to 140 degrees Fahrenheit. Acrylic adhesive delivers ultraviolet resistance that eliminates yellowing and substantially increases shelf life. 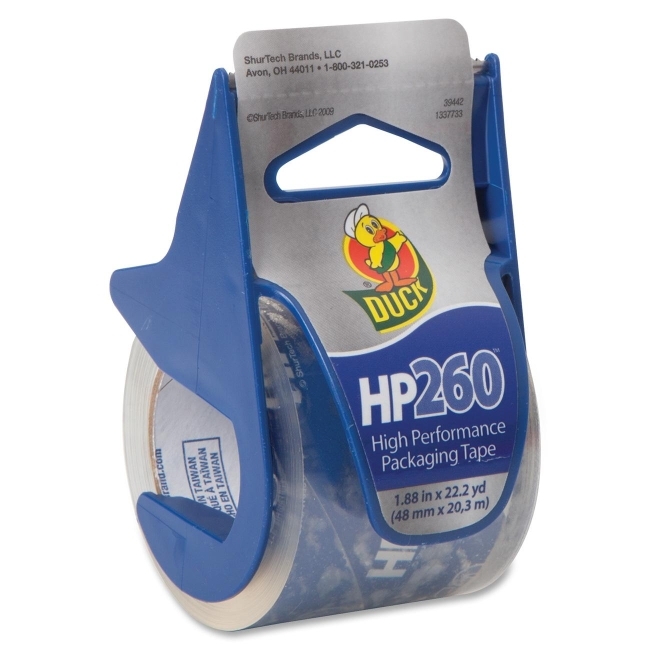 Tape has a 1-1/2" core and comes with a disposable dispenser.